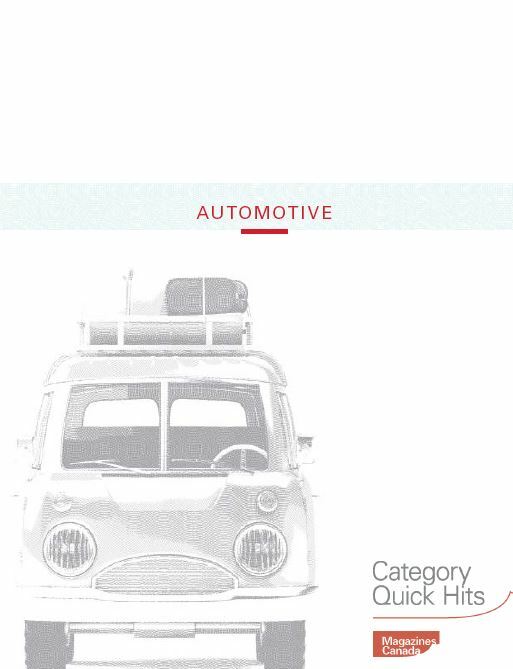 Category Quick Hits, a complement to existing research-compilation documents like the annual Fact Books and FastFact releases, compile research on specific advertising categories to create targeted sales sheets. The documents were developed to provide further support to advertising sales professionals in discussion with media planners and advertisers about how their brands fit in and succeed with magazine media. Based on the latest and most compelling third-party research, the Quick Hit documents provide a response to why magazines are essential to advertisers in key advertiser categories.